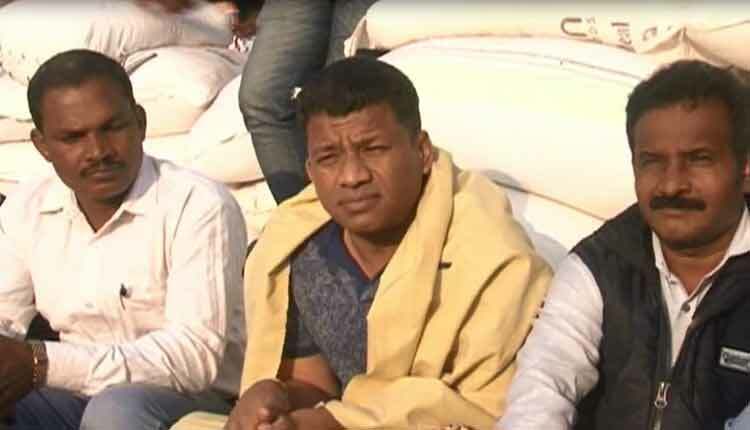 Malkangiri: Protesting against non-procurement of paddy at several mandis (procurement centres), the Malkangiri district Congress workers led by former MP Pradip Majhi staged a dharna, keeping the sacks in front of the office of the district collector, on Monday. Talking to the media, Majhi said though the district administration has opened several mandis in the district in the last three months, the officials concerned are yet to complete the procurement process till date. As a result, several farmers are waiting near the mandis with their paddy for months. “We will continue our dharna in front of the collector’s office till the mandis have completed procuring paddy from these farmers,” he added.